The secret Merry and Adam share with their friends is no longer safe. Somebody else knows where the “precious jewels” from ancient Egypt are hidden and is threatening to go public if his demands are not met. 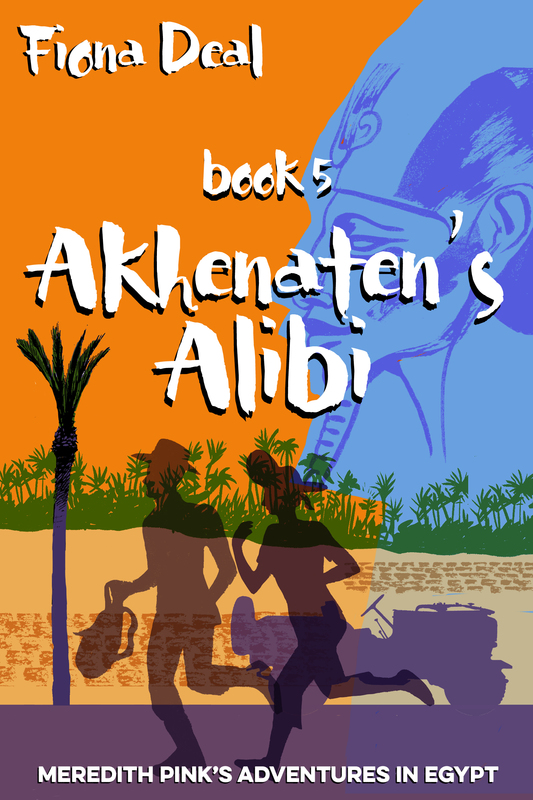 As Egypt’s civil unrest erupts into street violence, Merry knows they must secure the blackmailer’s silence or risk their discovery being used for political ends. Matters are not helped when author Nabil Zaal points out the similarities between the coup d’etat against President Morsi and the one he claims removed the heretic pharaoh Akhenaten from the throne over 3000 years ago. Citing links between the Amarnan pharaohs and the Old Testament, the writer stirs up trouble and forces Merry and Adam to ask a big question of their own. Set against the turbulent backdrop of modern revolutionary Egypt, Merry and friends must race against time to protect the “precious jewels” from being caught up in Egypt’s political crisis. This is book 5 in Meredith Pink’s Adventures in Egypt. It picks up threads from the first three books in the series and weaves them together with the themes introduced in book 4, namely whether there are links between 18th Dynasty Pharaonic Egypt and the Bible. Specifically, whether some of the key figures of the Old Testament were in fact ancient Egyptian pharaohs. Book 6 is underway, and will continue both the series and the exploration of these themes. All of the books in the series following Meredith Pink’s Adventures in Egypt are meant to be a light, entertaining read; something for a sunlounger on holiday, or a cold winter’s night at home. But they’re also a bit of an exploration of a slice of Egyptian history I find fascinating. I hope you do too. As ever, I am very grateful for feedback, either here, by commenting on my website; or by leaving a review on Amazon.co.uk or Amazon.com.